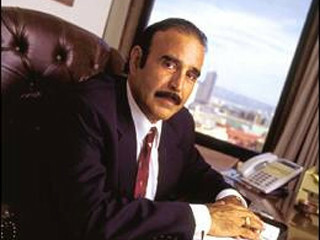 Randall Hamud, described by CAIR's website as "a prominent Muslim civil rights lawyer," gave a workshop for CAIR-San Diego entitled, "Know Your Rights," on August 18, 2005. An audience member stated that Muslims were not involved in 9/11. Hamud readily indulged this disturbing conspiracy theory about our nation's worst tragedy. Question: One strategy that enemies of Islam are successful at and that's putting Muslims on the defensive. There's still no evidence that Muslims carried out 9-11. Hamud: Well, there is that point of view. I understand what you're saying. A lot of people don't think there were any Muslims involved in it at all. And maybe a hundred years from now we'll find that out. Question: A lot of people really know there's actually no people on those two planes. They were remote-control planes. Hamud: Well it's like the Pentagon plane. Nobody ever saw the tail (UI word).